On a scale of 1 to 10 when it comes to visiting relaxing, cozy spots where you can just laze about all day and enjoy yourself, Jakarta doesn’t rank too high. But on the scale of having fun and getting to experience a different and unique culture, Jakarta rates very high considering that it is quite different from much of the world. Despite the hustle and bustle of the city, there are many attractions to be seen and a wide variety of interesting sights just waiting for the casual to active tourist. Beginning with the most obvious is your departure from one of the two airports that Jakarta has to offer, either Soekarno Hatta or Halim Perdanakusuma. The latter is fairly new as it just started accepting commercial flights as of 2014, but it is no less impressive. From there you’ll want to check into your hotel before going out to see what the city has to offer, and in Jakarta, there is a great deal of places to choose from. If you are looking for a go to site for quality, it is recommended that you find your way to Hotel Ibis Jakarta, one of the nicest and least expensive places to stay in the entire city. After checking in and dropping off your luggage and other items, it will be time to hit the city and see what it has to offer! 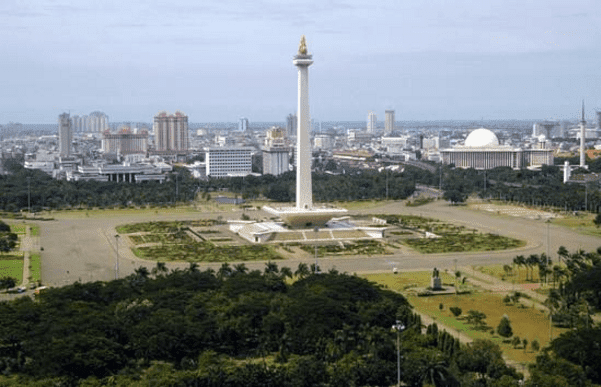 Monas stands as an important icon of the city and one of its most important symbols detailing the struggles that Indonesia has endured throughout the years. Within the National History Museum, that is nearby you can take note of the history of Indonesia that is depicted within the many dioramas that retell the story of the city, furthering your knowledge of this wonderfully unique city. As one of the biggest amusement parks in Indonesia, Dufan Fantasi is a very pleasing getaway from the busy life of Jakarta and a nice break for anyone just wanting to have a day of fun and frivolity. It can get rather busy on the weekends as it’s a favorite spot of those who don’t often make it to Jakarta or even into the city that often, but during the weekdays it’s a very entertaining and even socially engaging way to spend your time. While it can be argued that many places throughout the world are now practicing tolerance nowadays, the proximity of these two landmarks is almost unheard of in the world of religious beliefs. 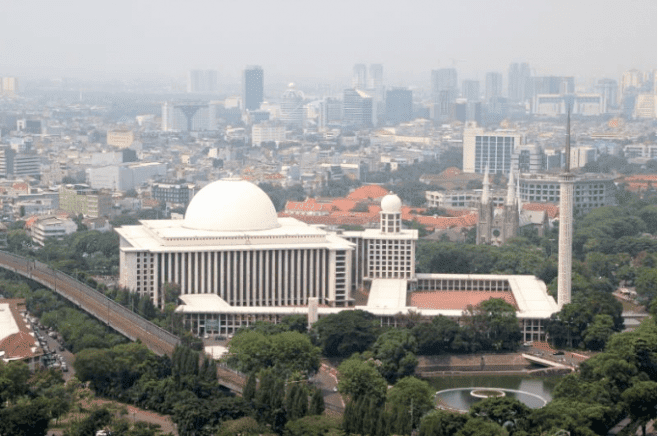 As the largest mosque in Indonesia, Istiqlal also holds the claim of being of the largest of its kind in all of Southeast Asia. The Cathedral is located just across the way from Istiqlal and is breathtaking structure constructed in a neo-gothic style that dazzles the eye and helps to both compliment and highlight the mosque. It is often said that the closeness of these two very different buildings are a sign of harmony that exists in Jakarta, a true achievement in any location. You can’t just go to another country without at least trying the local cuisine. Jakarta is packed with cafes, restaurants, and even bars that offer a plenitude of unique and appetizing dishes. If you find that the local food doesn’t agree with your is just not to your taste Jakarta is also well-known for its wide variety of tastes such as Indian, Greek, Italian, Lebanese, and a great deal more. There are many areas that are recommended if you want a pleasing dining experience, and many sites offer a pleasing variety of dishes, drinks, and even WiFi if you have the need for it. 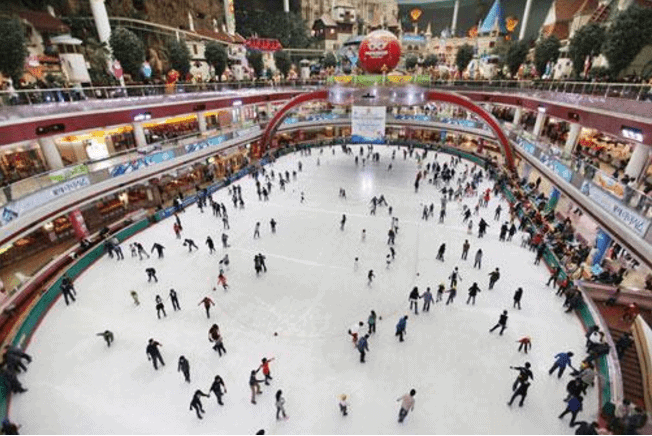 Jakarta is a big city for sure with a great many buildings and well-developed areas, but it also has its parks and recreational sites that are widely used by many people. Oftentimes if you take the time to sit and relax you can take note of the many people who use the park on a daily basis either to just pass on through for a stroll or as a means to enjoy their walk to work. The city parks are well-kept and attract a great many people for social events and other activities that are meant to create a sense of belonging to a community. While Jakarta is, in fact, a very busy place most days, many people still take time out now and again to just take a friendly jaunt through the park to clear their minds and take pride in the beauty of their city. So now you’ve seen the daytime attractions and several of the wonders that Jakarta has to offer, and are likely asking “What else is there?”. Well if you’re still awake you can find out just why Jakarta is lauded as a “city that never sleeps”. Possessing its own unique, evening charm, Jakarta’s nightlife is always abuzz with activity. Jakarta is a busy and industrious city, but not so much that the casual traveler can’t find their way around and enjoy the sites. 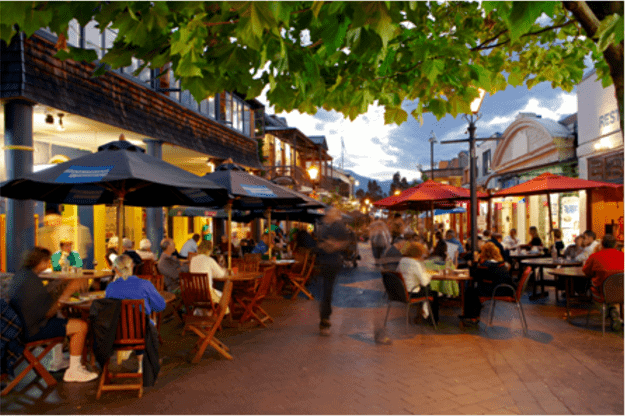 Whether you’re on a family outing or on a business trip there are always plenty of places to go and things to do. All you need to do is look, and enjoy.